Yes, Nedd was inspired by a drop of ink. I had someone tell me that they trust Biz-Nedd (with hat) more and that is extremely important to me being that it's an eCommerce site. I think we will use both of them in different applications. Thanks for your input, it's greatly appreciated! application is the key- it looks like an ink droplet, maybe- however…. "Biz Ned" is really the FUN Ned…. retro trends- you can even switch-up his that & its type message as needed…. 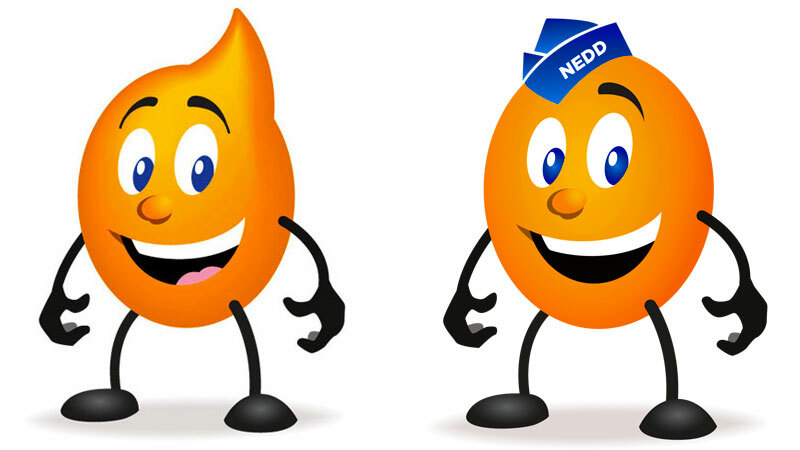 Nedd is going to be the spokesperson for our new G7 eCommerce printing website. Nedd makes printing easy, fun and trustworthy with his wealth of knowledge on color management and new printing techniques...you can Google 'who is Nedd' to read his compelling story - sorry no links in comments! Would be easier to pick one if we knew the context of its use. It could change the answer.